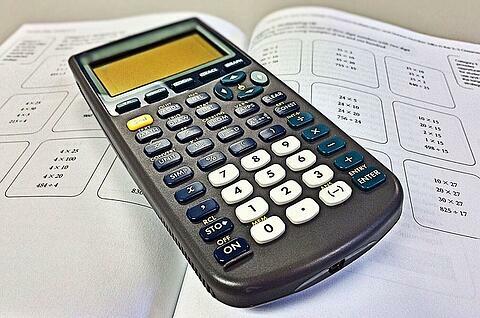 Calculators are allowed on the SAT, and not using them correctly can put you far behind. SAT experts Fred Zhang and Allen Cheng discuss which tips and strategies worked for them in getting perfect scores. Allen: So just how important are calculators to the SAT? Fred: I would say they're of medium importance on the SAT Math section. You absolutely need to have the right calculator strategy. On the one hand, most of the work on the math section (even the calculator section!) is interpreting the problem — a calculator can't do that for you. On the other hand, not using a calculator or using the wrong calculator strategy can really mess you up. Allen: I agree. Calculators can't make your day, but can definitely break your day. You need to avoid mistakes to get a good score on SAT Math, which you need to do if, for example, you are aiming for a top engineering school. Here are our top tips. The College Board Official Calculator Policy says that you don't need a calculator for the SAT. They say that because the College Board needs to make the SAT seem accessible to people of all income levels. The reality is that a calculator, and the right calculator at that, is an absolute must. We've taken the ACT, SAT, GRE, MCAT, and a whole slew of standardized tests as well as class tests. Whenever calculators were allowed, 9 out of 10 times they were of substantial help. When you need to multiply 2392 x 323, it's faster and more accurate to do so on a calculator. Bring your calculator! 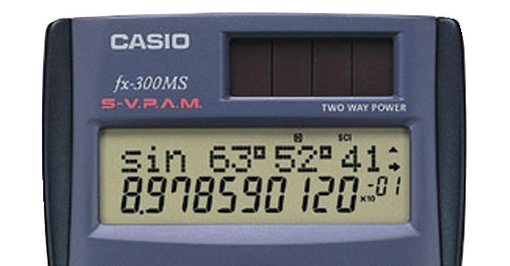 Many Scientific Calculators, like the Casio fx-300MS (Fred's personal favorite for the SAT), have an entry line, as do the Ti-83, Ti-84 and Ti-89. Fred: Always, always glance at this to double-check before you hit enter. Glancing takes less than a second, and so many times I caught myself typing (425+25) instead of (424+25) or reversing a decimal. A few mistakes like that on the math section can cost you up to 50-100 points! By double-checking, I have managed almost never to make a computation mistake. Allen: Absolutely. My favorite SAT calculator is the Ti-89, and I check the entry line all the time. If you're a high scorer, it is crucial for preventing careless mistakes. If you're not a high scorer, it lets you double check the order of operations, and lets you match the equation on the paper. Fred: Oh, and implicit in all of this is that you should stay away from calculators that don't have an entry line. That 4-function (only does add, subtract, multiply, divide) calculator in the closet? No way. Some scientific calculators don't have an entry line — using one would put you at a big disadvantage. Allen: What would you say your worst calculator experiences were? Fred: Oh, by far, in school when I had to use one I wasn't used to. I'd be hunting around for the "sine" symbol. I'd find it, but then realize I have to hit another button at the same time to activate it. And to add to that, halfway through the quiz, I realized the calculator angle unit was set in radians instead of degrees, so my answers would be all wrong. As an aside, do you know how to swim or ride a bike? If so, then you know how important being familiar with an activity is. Calculator familiarity is no different. If you’re hoping to get the most out of your calculator, you must, must, must use one that you are used to. One that you've used for 20 hours or more, ideally. You have a vague muscle memory of where the keys are, what settings there are, and so forth. Remember this: the worst calculator is an unfamiliar calculator. A familiar scientific calculator is far better than an unfamiliar Ti-89. How do you gain familiarity with a calculator? Pick one you like, and then use it for tests, homework, and anything else. To the extent possible, when doing classwork, don't borrow other people's, don't use the class calculator. Gain familiarity with one calculator model. Allen: Is there such thing as believing in the calculator too much? Putting too much faith in it? Fred: Oh, absolutely. Throughout my career, I've seen so many students who think that the right calculator will magically solve all their math problems. These students go through the trouble of firing up their Ti-84, navigating a slew of menus to find a high-powered cubic equation solver, slowly enter in the equation carefully, hit enter, and get a rounded answer like .588 that they have to convert back to 10/17. Allen: I've seen those in my day, and the kicker is that the math problem would take 2 minutes to do on the calculator, while if you just thought creatively about the problem, you'd get it in 15 seconds. Fred: For sure, calculator over-users suffer from typos on the calculator, and the conversion of rounded numbers to fractions. You feel like you have to use a super-complicated program to solve it. You know the answer is a fraction like 5/13, but the calculator only outputs decimal equivalents. When you have to use a large number of key-presses or menu navigations to get to your answer. More key presses means more chances for mistakes. Our golden rule: If what you're trying to do with your graphing calculator is NOT doable on a scientific calculator, you are likely overusing your calculator. In fact, I would go so far as to say that you should really only be using the calculator to do combinations of the four basic functions, like (425+25)/3 - (42*4)/3. To improve the accuracy of 4-function calculations (but be careful what you type!). To speed up complex 4-function calculations (typing 3823 * 84 is much faster than doing it by hand). Bonus Q&A: What's Your Favorite Calculator for the SAT and Why? It has an entry line, and we talked about how important this is. It's a relatively simple calculator, meaning all teachers will let you use it for exams that allow calculators, so you can get a lot of practice using this calculator. Since it's a simple calculator, you'll also never be tempted to boot up the cubic equation solver, which we discussed before is often less than optimal. The only drawback is that, if you find that there is some graphing calculator function you must use, and you've found it to be helpful, it won't be on this one. But I've personally never found such a "mandatory" graphing calculator function, at least not for the SAT. Allen: I like the Ti-89 the most. It's one of the most powerful calculators acceptable on the SAT. Why do I love it? It has much more functionality that most other calculators (and is more expensive as well). It gives you answers back in fraction and "rationalized" format: so if the answer is 10/17, it will give you that, instead of a decimal jumble like 0.5882352 (which leaves you to match it up). I find the equation solver to be pretty helpful. Solving 3x+4y=6, 9x+2y=-10 is kind of a pain manually, and you can just type this in on the Ti-89. But typing it in correctly takes not much less effort that solving on paper, so I can go either way on this. It's definitely not a "mandatory feature." The most important lesson for calculator use, again, is to have a calculator at all. Secondly, it's key double-check all entries. Thirdly, you have to develop familiarity with the calculator. And finally, use it mainly for four functions, plus just a bit more. What does this mean you should do? Bring a backup to the test, or at least backup batteries. What do we not recommend? Spending hours loading complicated programs into that Ti-84. Relying on using the advanced functions of each calculator. Obsessing over the calculator as the golden ticket to your 800. Now that you know these tips, go out and conquer the SAT Math section! Not sure what score to aim for on the SAT? Read our guide to learn how to figure out your target SAT score! Need more help prepping for the SAT Math section? We're here to help! Check out our ultimate SAT Math guide for everything you need to know to ace this section of the SAT. Hoping for a top SAT Math score? Read our guide, written by a perfect scorer, on how to get an 800 on SAT Math. Check out our best-in-class online SAT prep classes. We guarantee your money back if you don't improve your SAT score by 160 points or more. Our classes are entirely online, and they're taught by SAT experts. If you liked this article, you'll love our classes. Along with expert-led classes, you'll get personalized homework with thousands of practice problems organized by individual skills so you learn most effectively. We'll also give you a step-by-step, custom program to follow so you'll never be confused about what to study next. 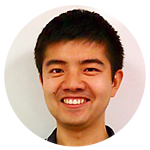 Fred is co-founder of PrepScholar. He scored a perfect score on the SAT and is passionate about sharing information with aspiring students. Fred graduated from Harvard University with a Bachelor's in Mathematics and a PhD in Economics.